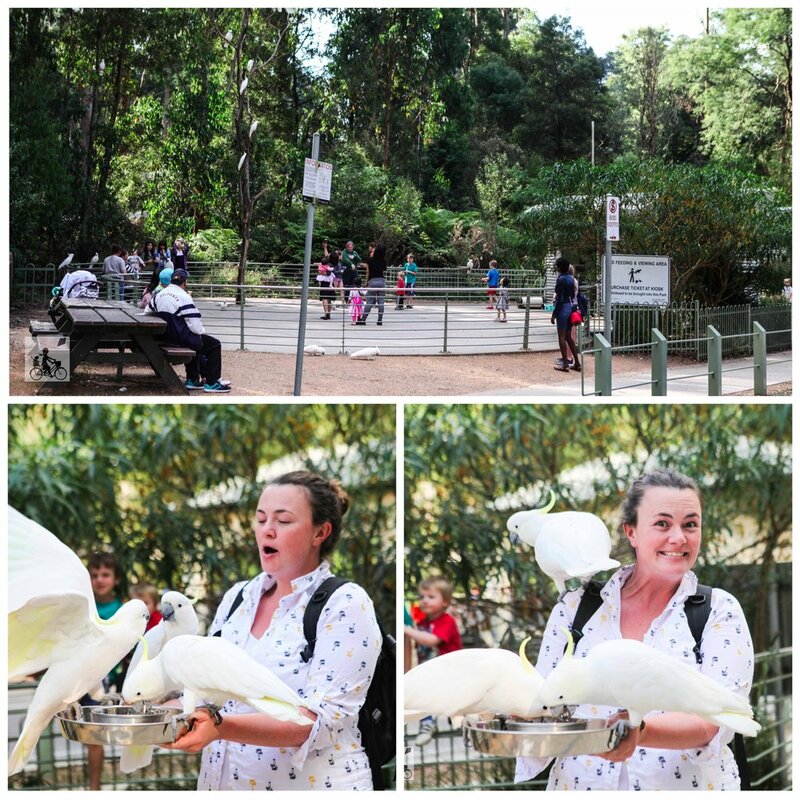 There are some experiences synonymous with the Dandenong Ranges including this one. Feeding the birds at Grant's Picnic Ground. The purpose built feeding zone is open 7 days a week and the family can all join in. After you purchase your ticket for a feeding tray from Grants on Sherbrooke, it is filled upon entry to the designated 'arena', let the feeding flurry begin. 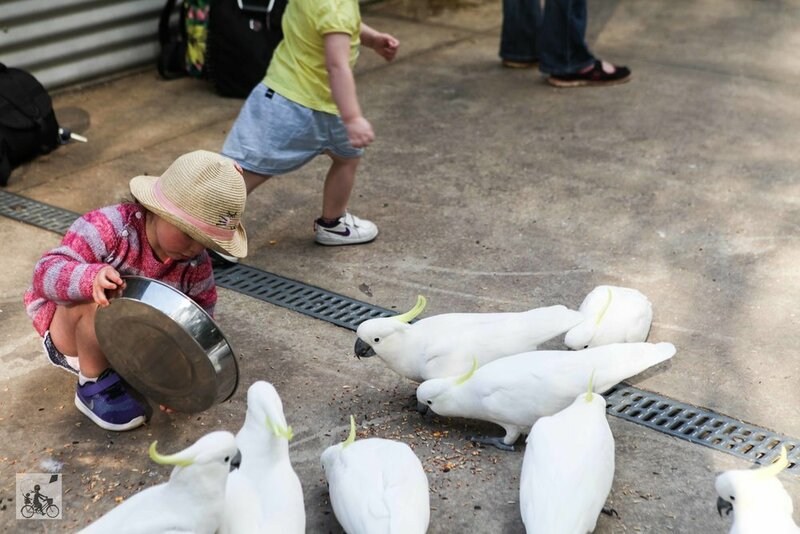 Warning - the cockatoos are heavy and seem to be hungry at all times. Adults are the ones that need to hold the try, especially if you don't want it upended in the first 30 seconds of arrival. Plus the birds are wild animals - with claws no less, so you do have to be careful and watch the little ones. However, the kids do love it. 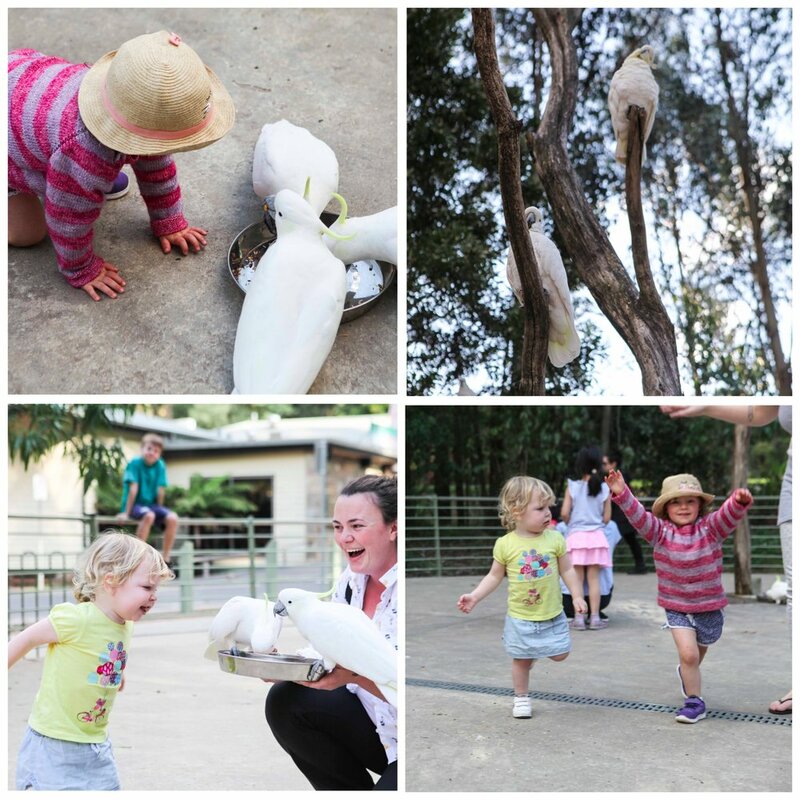 Getting up so close to these beautiful white birds, watching them carefully select the seed to feast on and then squeal with delight when Mamma is caught off guard by a wing to the face. You are only permitted to feed the birds in this space, but you will find more bird life throughout the walking trails in the Sherbrooke Forest. Lunch or scones at Grants on Sherbrooke make this little adventure a great day out. Mamma's special mention: All sales of feed go through the visitors centre and the cafe on site, Grants on Sherbrooke. There is a minimum card fee so bring your coins or buy some treats at the gift shop all at once.